Overlooking the scenic York River, this 40-acre estate is minutes from Williamsburg and a short sail to the Chesapeake Bay & the Atlantic Ocean. Encompassing 10, 000 square feet and being sold fully furnished, this home is the best in city and country living. 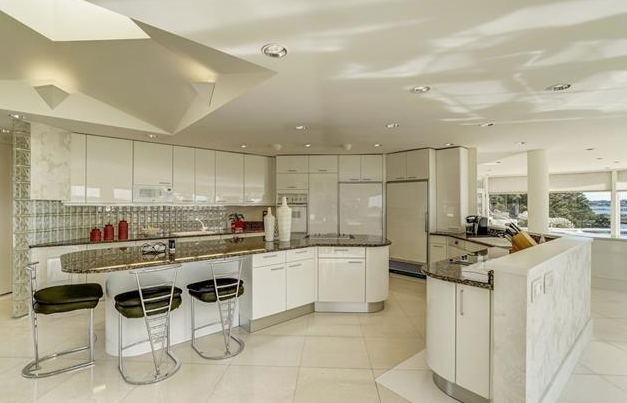 The contemporary home was built with a profusion of glass, rending breathtaking river views. Perfect for a private residence or corporate retreat, the estate has been decorated by experts and designed to indulge every whim. This Smart Home offers a vast array of functions for easy living and utmost convenience, enabling the owner to interact with the house and grounds from anywhere in the world. Some of the featured rooms include a Home Theater, an exercise room, executive office and a 1, 800 square foot entertainment suite with lighted dance floor, pool table, full kitchen & subzero wine cellar. With six bedrooms and seven full & two-half baths, there are ample accommodations for friends & family. Secured grounds, a private sundeck, a tennis court, pool, private pier, stables, & a 2, 200 sq. ft. workshop which would provide ample space for the car collector. Accessible by helicopter, it is also convenient to several airports. GREAT NEW PRICE OF $535,000! 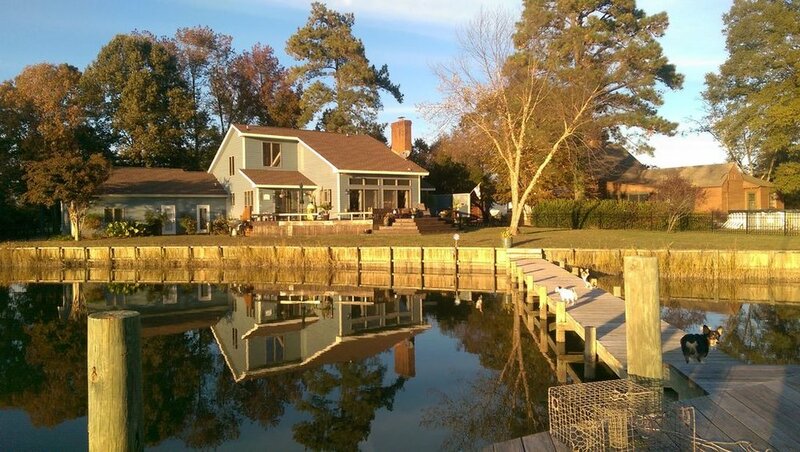 This all brick custom built rancher Queens Lake offers stunning panoramic views of Queens Lake and distant views of the York River. This property is comprised of almost 2 acres of land with 400 feet of water frontage! A wide circular driveway, offers extra parking spaces to accommodate family, friends and party guests. An office is conveniently located off the spacious and welcoming foyer. 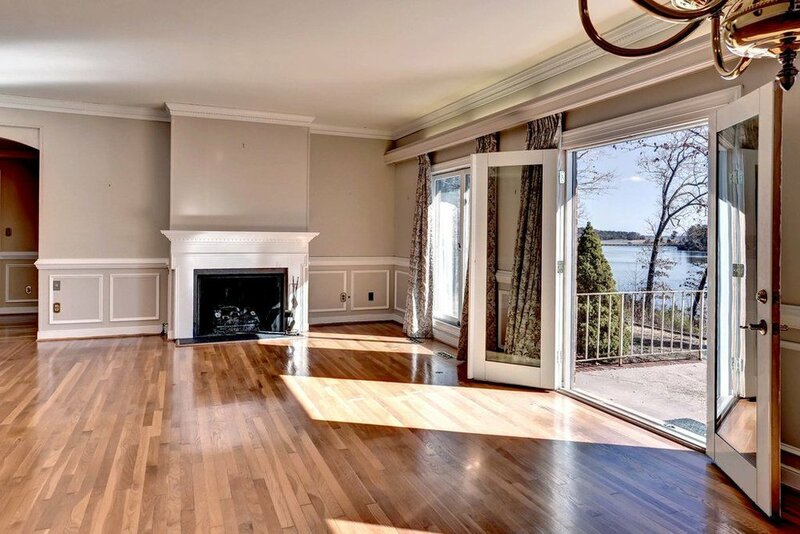 The instant you walk into the large open living room and dining area, the water views abound! The breakfast area, located off the updated kitchen, is surely to be a favorite spot to enjoy your morning. The fourth bedroom, with its separate entrance through the garage, is perfect for an in-law or caretakers room and offers many possibilities for the new owner. Fish, canoe, kayak or paddle-board until you heart's content. 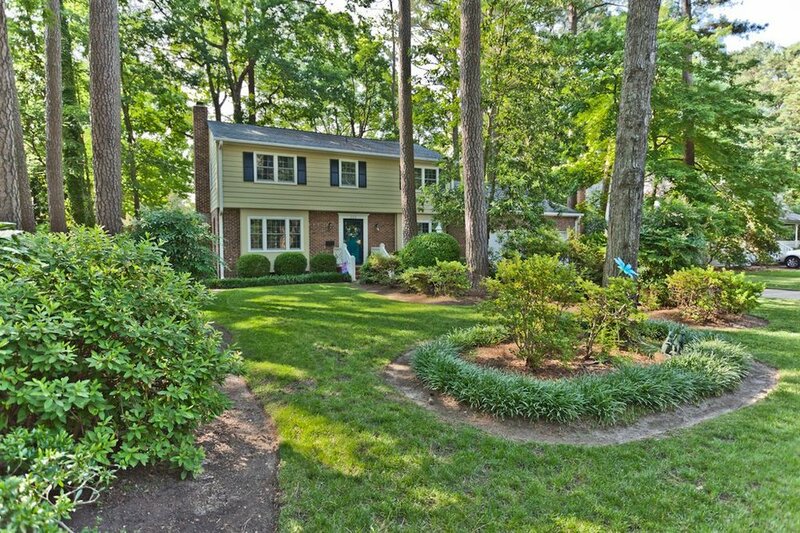 Located minutes from historic Yorktown and Colonial Williamsburg. A pre-listing Home Inspection has been completed, as well as a clean Termite & Moisture Inspection. County septic connection is scheduled to be completed and the deposit has been made. AN APPRAISAL for $550,000 in it''s current condition, is available for review. Don''t miss this opportunity, especially at this new price!!! Simply charming! From the beautiful landscaping to the inviting home and deck, one can't help but enjoy evenings sitting on the large deck or out sitting out by the fire pit. The interior of this home has so much to offer. On the first floor you will find a good size living room, updated eat-in kitchen with a breakfast bar and large window to enjoy the views, a cozy den with the second fireplace, a first floor laundry room, powder room and a dining room. Upstairs offers the master bedroom with a full bath, there other bedrooms with nice size closets and a hall full bath. Just a few minutes one can walk to the community beach. Live close to Mariner's Museum, CNU, shopping, restaurants and Riverside Hospital. Amazing! 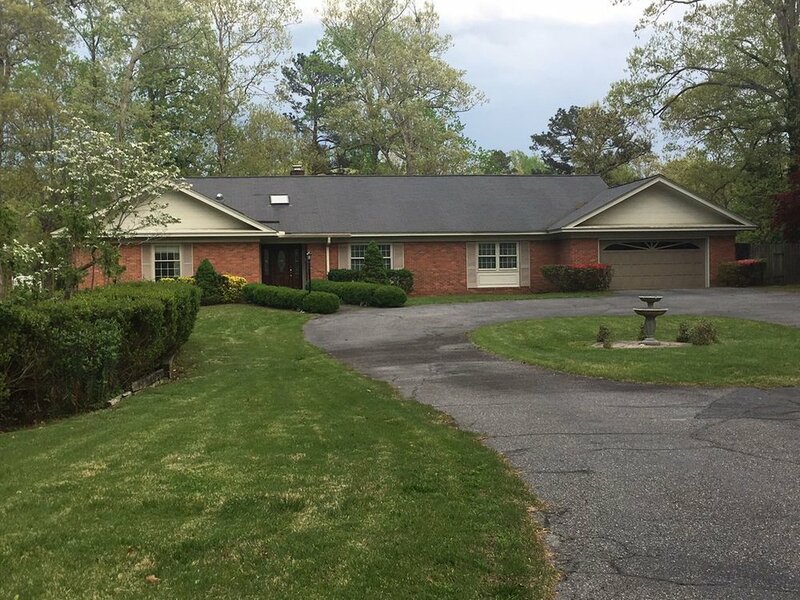 Four acres in Powhatan Shores! Only about +/- one acre to manage/mow, while all the rest of the acreage provides privacy and tranquil views. Lovely landscaping. 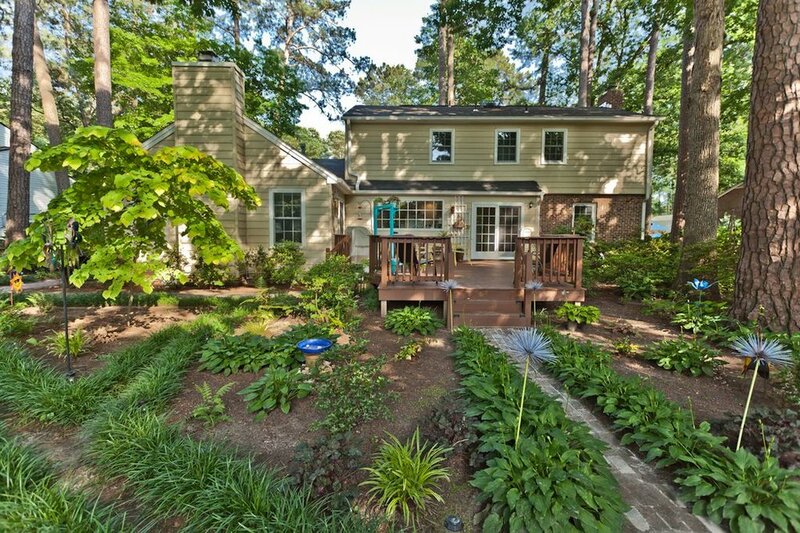 The acreage extends out to the navigable creek, which leads to the James River. A pier would be allowed. This home is ready to move right in, as it has new carpet and has been freshly painted. All new windows are ordered and will be installed soon. Enjoy the wildlife and all that Powhatan Shores has to offer. A pre-listing home inspection was completed by Pillar to Post and everything has already been repaired. H.O.A Membership not required. Voluntary H.O.A. of $85 a year allows use of boat ramp and picnic area. FROM THE MOMENT YOU DRIVE UP TO THIS LOVELY HOME, YOUR EYE IS DRAWN TO THE PANORAMIC VIEWS OF SARAH CREEK. THE WATER VIEWS ARE AMAZING! 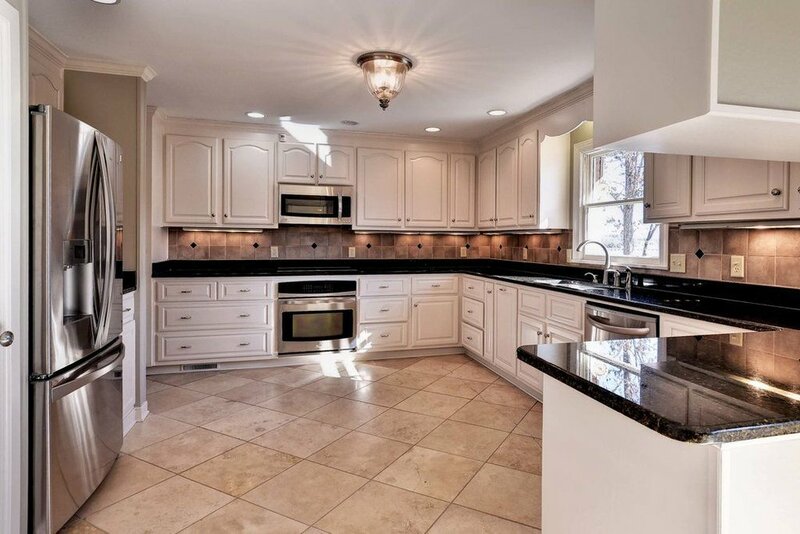 LOCATED ON A CUL-DA-SAC, THIS HOME HAS OPEN FLOOR PLAN, IDEAL FOR ENTERTAINING. GOURMET KITCHEN , A VAULTED CEILING AND HARDWOOD FLOORS IN LIVING ROOM, A PLAYROOM/REC ROOM AND A FIRST FLOOR MASTER SUITE ROUND OUT THE FIRST FLOOR. TWO BEDROOMS AND A FULL BATH ON THE SECOND FLOOR. 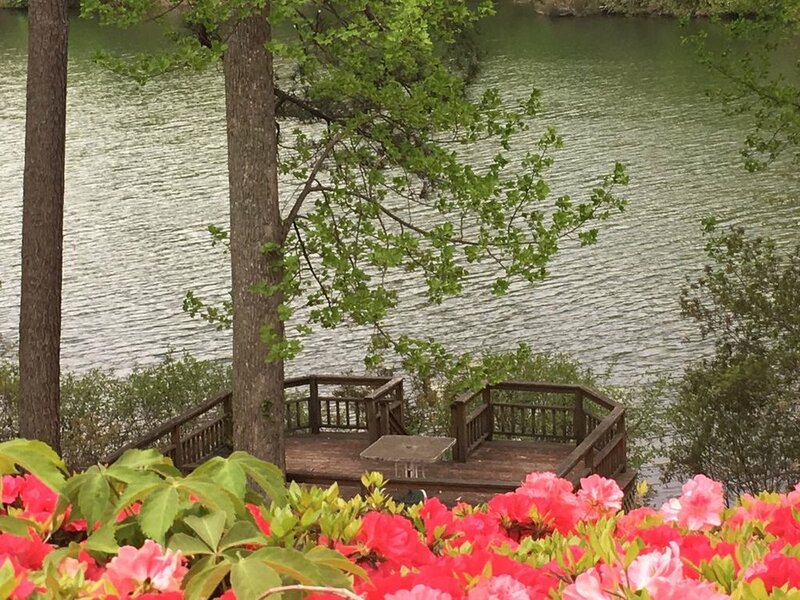 ENJOY THE EXPANSIVE DECK, WHILE WATCHING THE OFTEN VISITS OF "BERT" THE BLUE HERON, BALD EAGLES AND OTHER WILDLIFE. HAVE YOUR OWN DOCK WITH BOAT LIFT. IF YOU DON''T HAVE A BOAT, YOU SHOULD CERTAINLY GET ONE! FISH, SWIM, PADDLE BOARD UNTIL YOUR HEART''S CONTENT. DON''T FORGET THE CRAB POTS! ENJOY ALL THE BEAUTIFUL SUNSETS. FEEL LIKE YOU ARE ON VACATION YEAR AROUND! THE PRIDE IN OWNERSHIP SHOWS HERE! Location, Location. Located on the 18th hole of the Marsh Hawk golf course, this lovely one acre lot offers 224'' of golf course frontage. Enjoy building your dream home within walking distance of the country club.